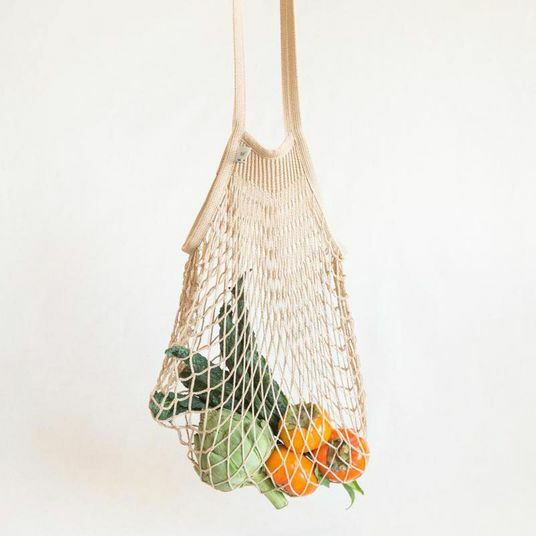 Complete transparency has been all the rage these days, at least when it comes to fashion and design. 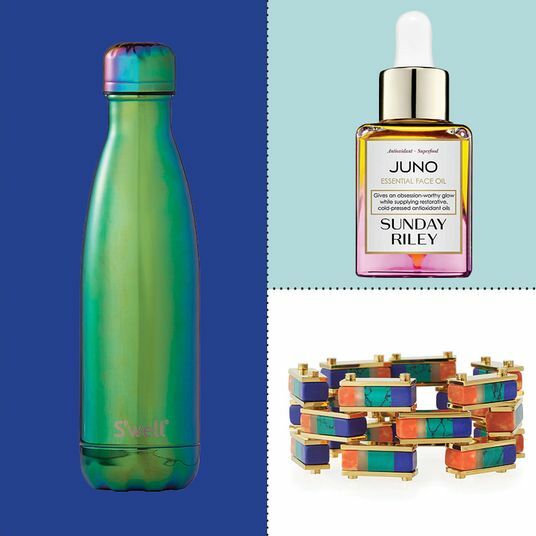 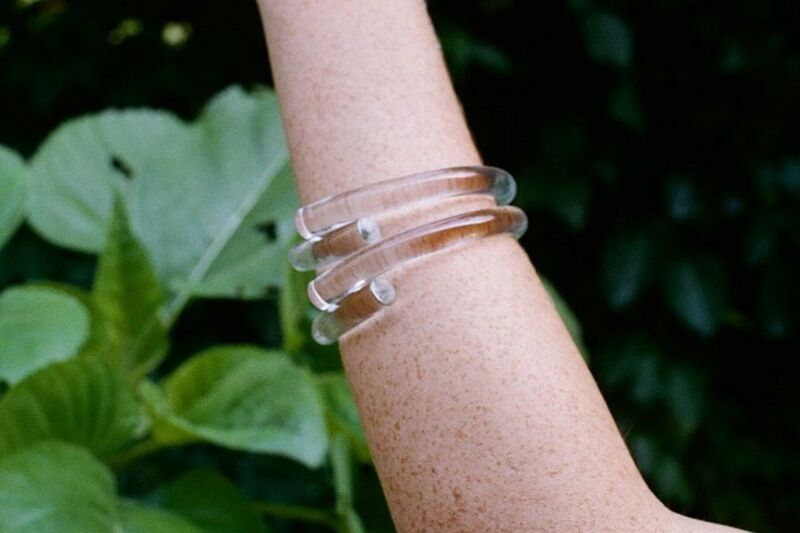 Over the past few months, I’ve thumbed past more and more clear things on Instagram than ever — a plant stand here, a see-through beach tote there — but I’ve been most delighted by the jewelry: thick, glassy chokers (as pictured here on Solange), elegant blob earrings, and stacking rings that look like small ice sculptures. 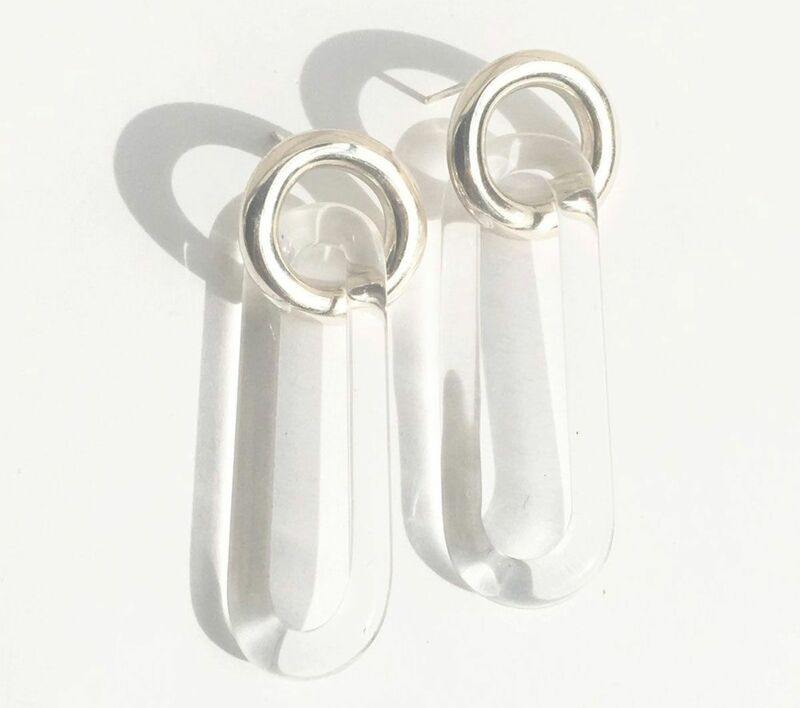 You might say it’s part of the explosion of transparent things that popped up on runways this spring, but Corey Moranis — a Canadian jewelry designer who’s been working with Lucite exclusively for the past five years — says clear Lucite jewelry is very much having its own moment this year. 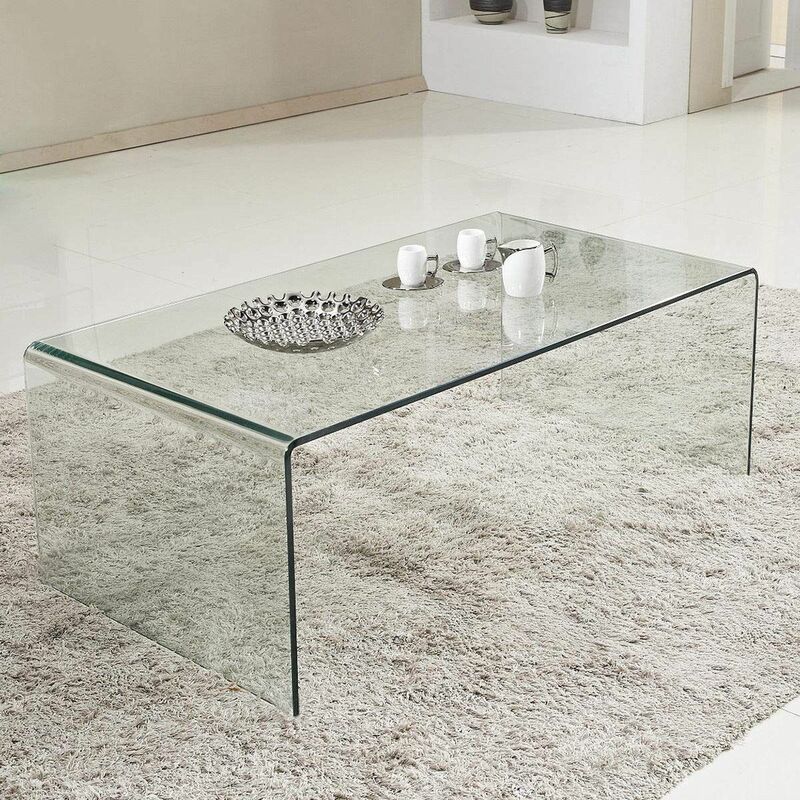 Similar to plastics like PVC, Lucite is a transparent thermoplastic that’s often used as a lighter, shatterproof alternative to glass. 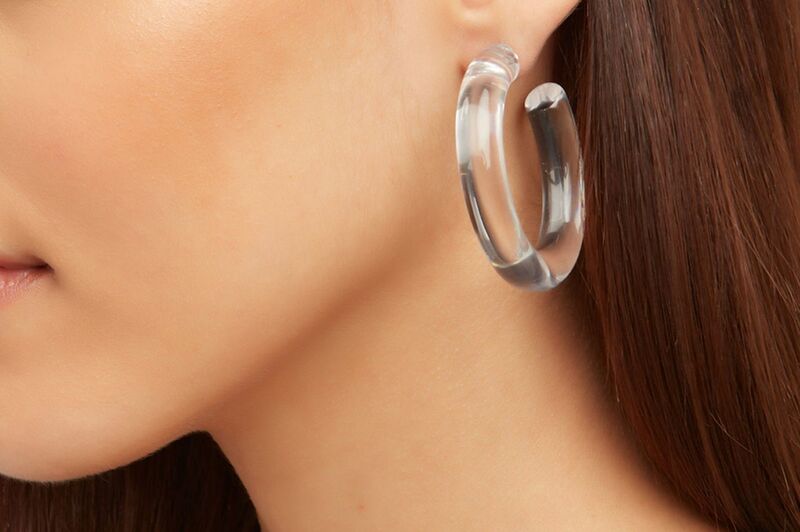 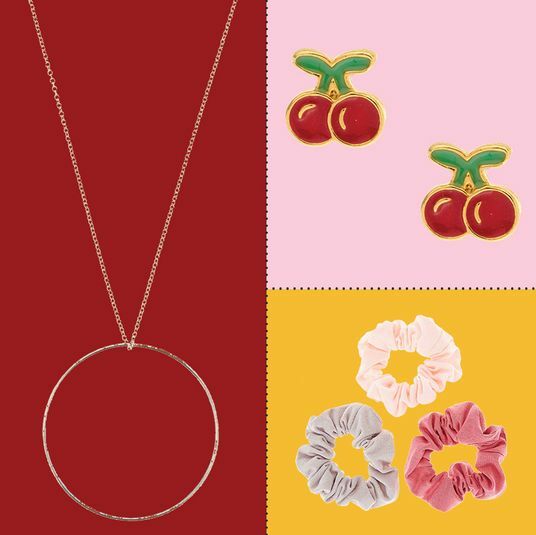 Clear Lucite hoops made headlines when Alison Lou’s “Loucite” collection of enamel and Lucite earrings launched in April (it was seen on Selena Gomez, Tracee Ellis Ross, and Blake Lively, to name a few). 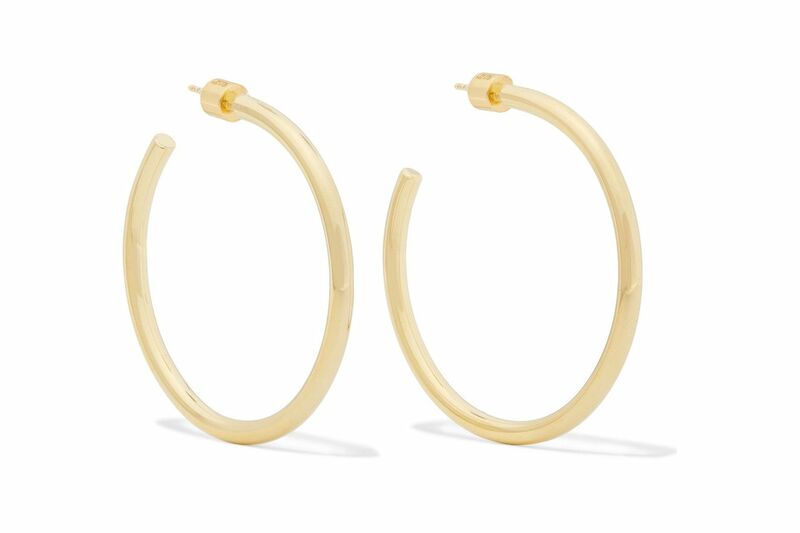 And an even more accessible version made the rounds in May when Bella Hadid wore a pair of clear BaubleBar hoops ($38!) 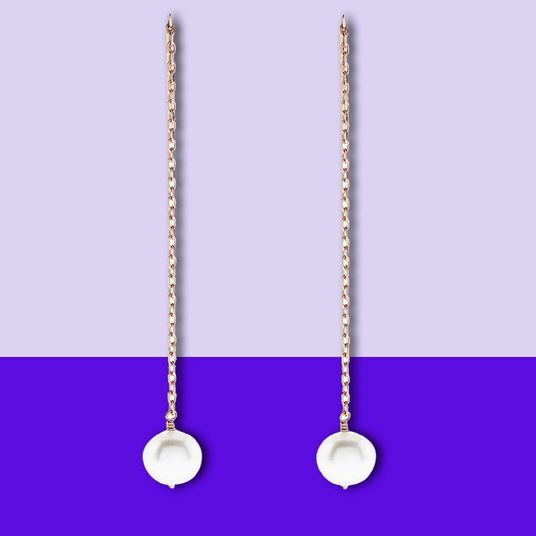 out on the town. 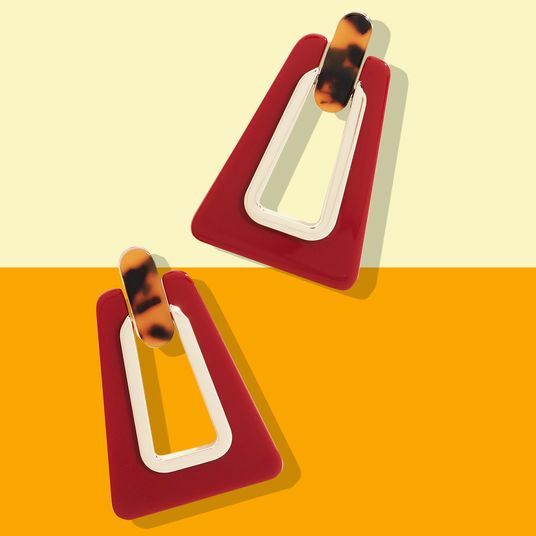 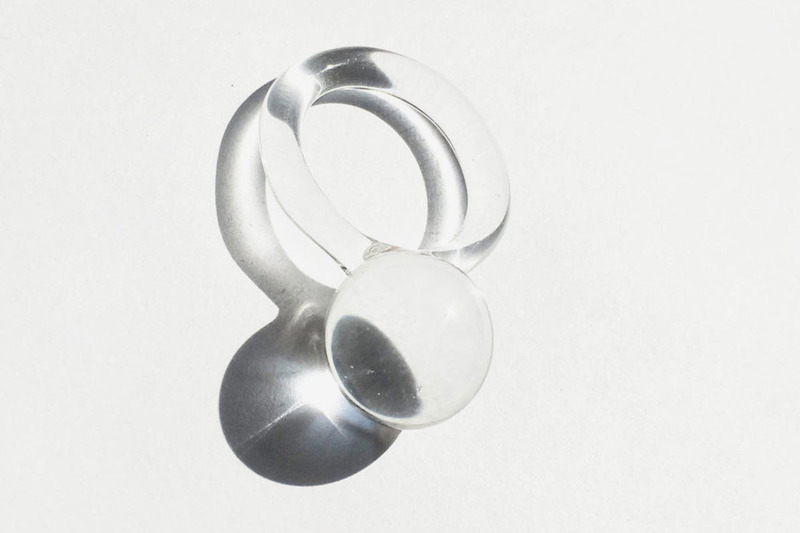 And while iterations of the past were more interested in color and costume, the new wave of Lucite jewelry is sculptural and completely devoid of color. 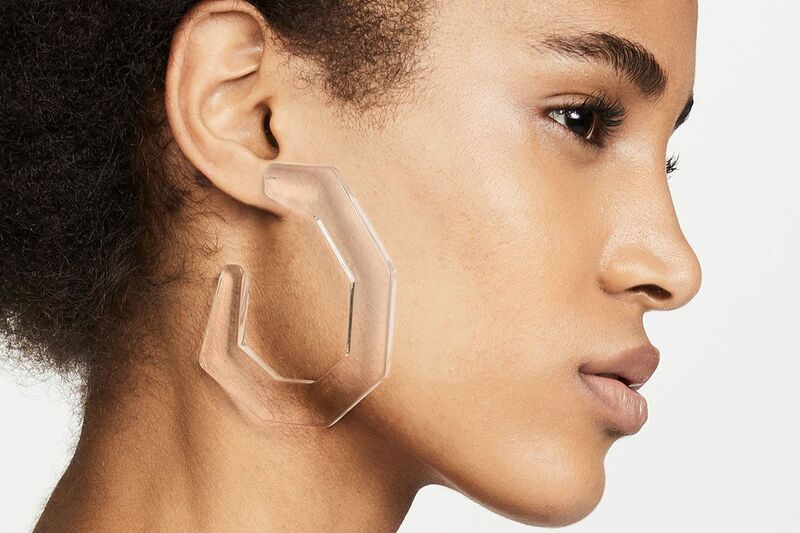 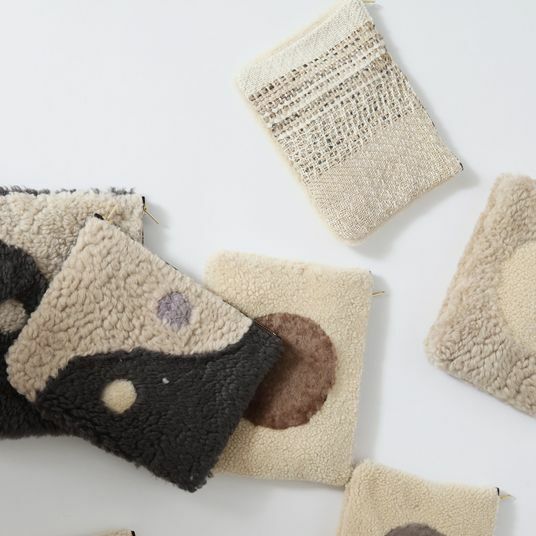 Marie Foxall — the owner of home and jewelry brand Wasted Effort — says she was heavily influenced by retrofuturism and sci-fi in her Lucite designs. 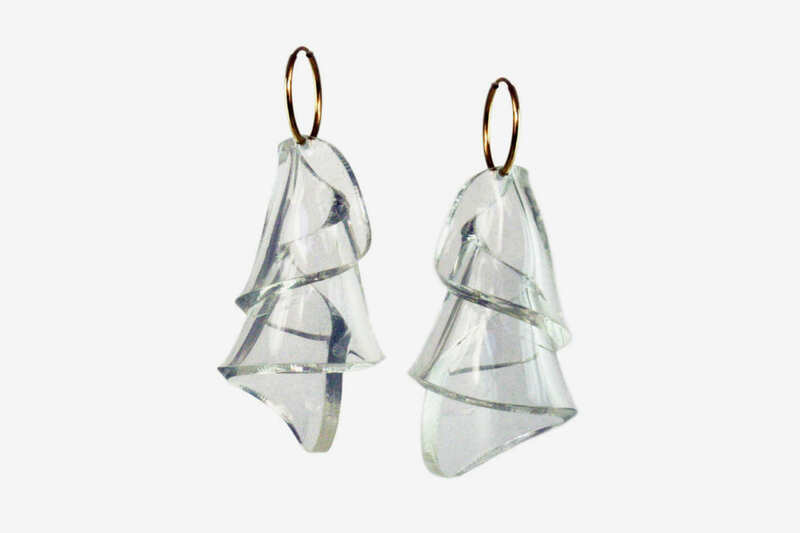 Below, my favorite new Lucite (and not quite Lucite, but still see-through) jewelry designs. 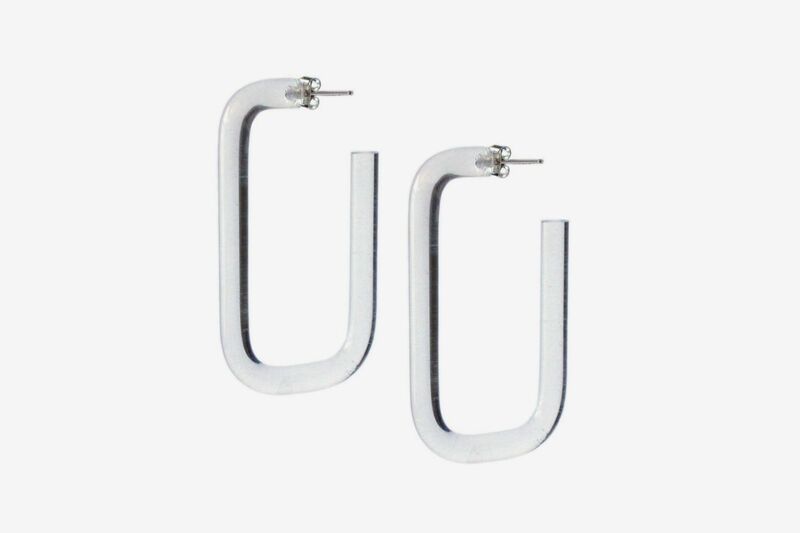 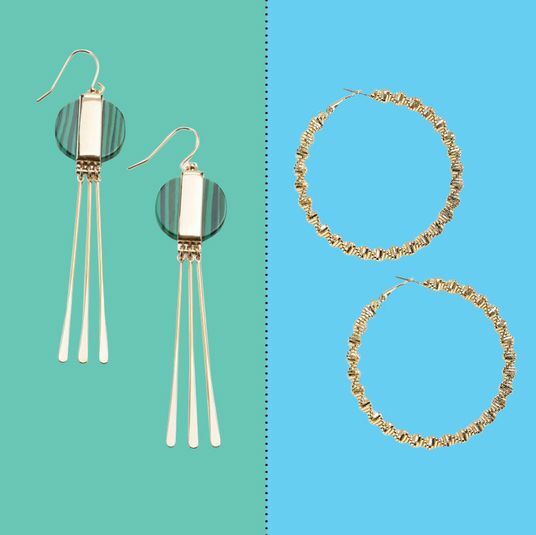 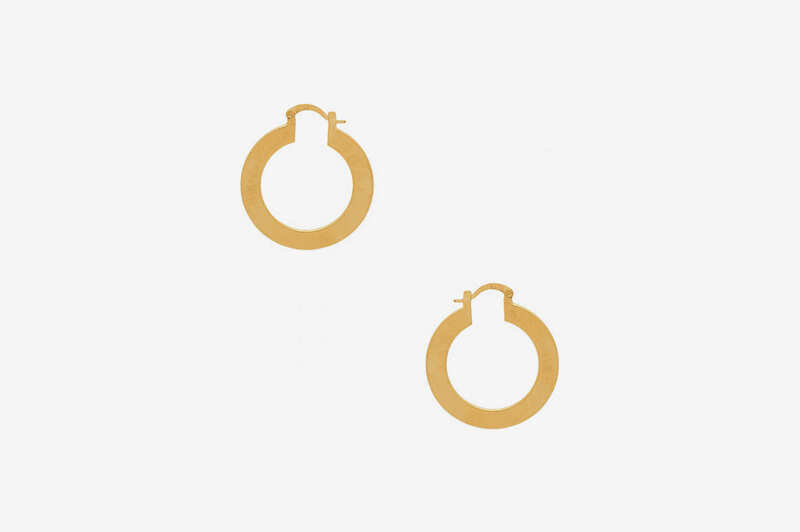 Fun fact: These rectangular Lucite hoops are the absolute best sellers at Wasted Effort. 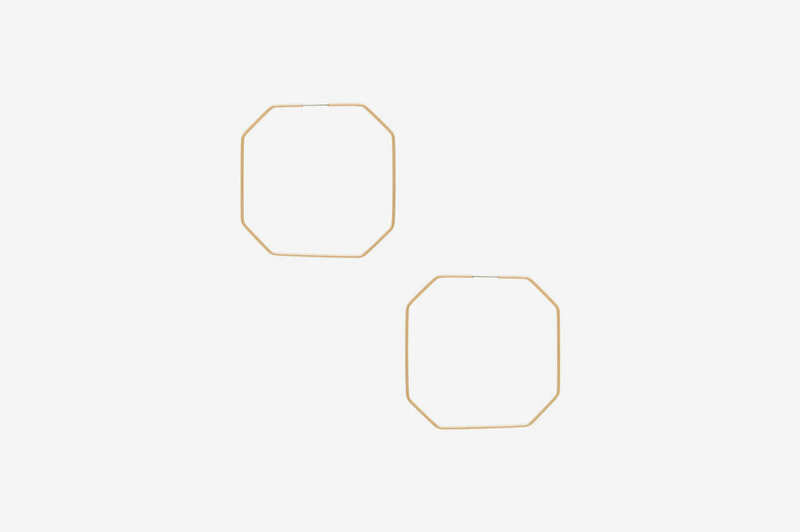 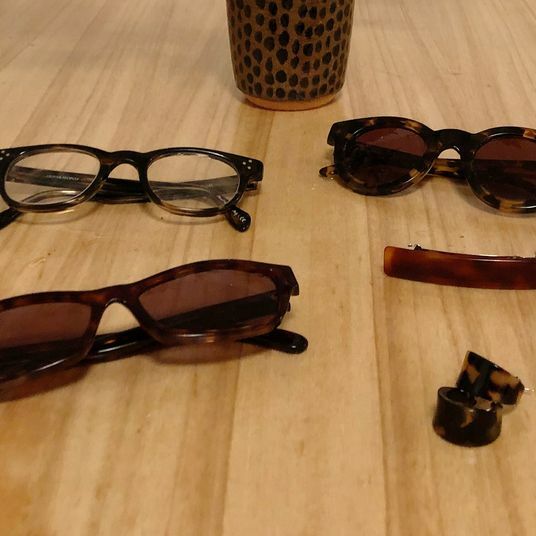 Large geometric Rachel Comeys in acetate if you’re tempted to go bigger. 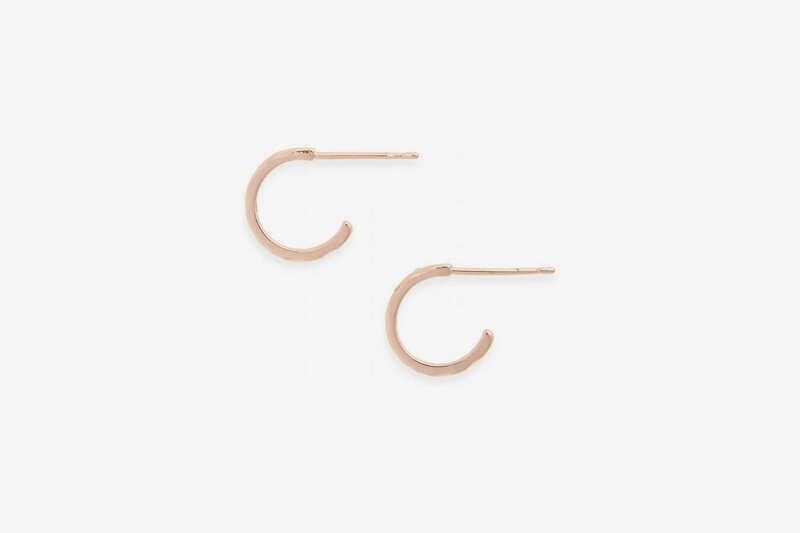 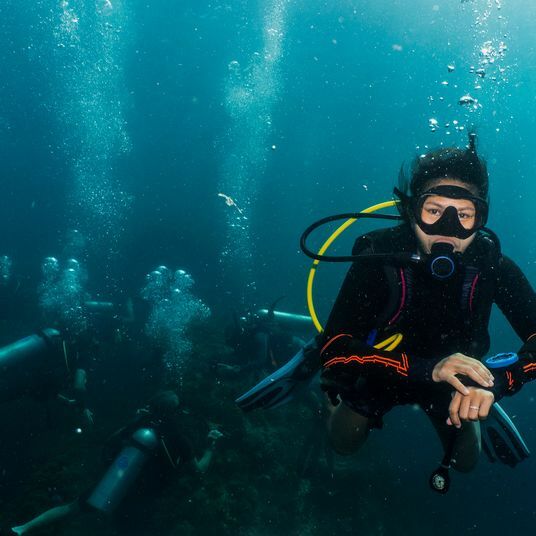 A chunky option for your forearms. 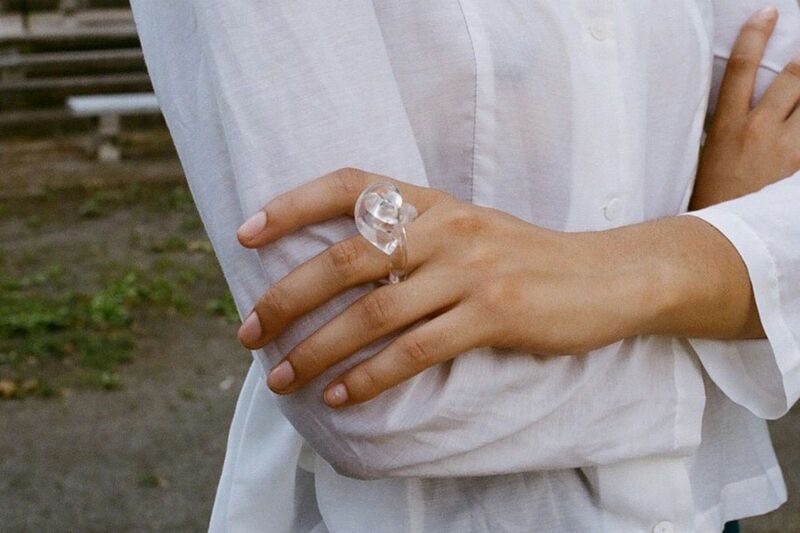 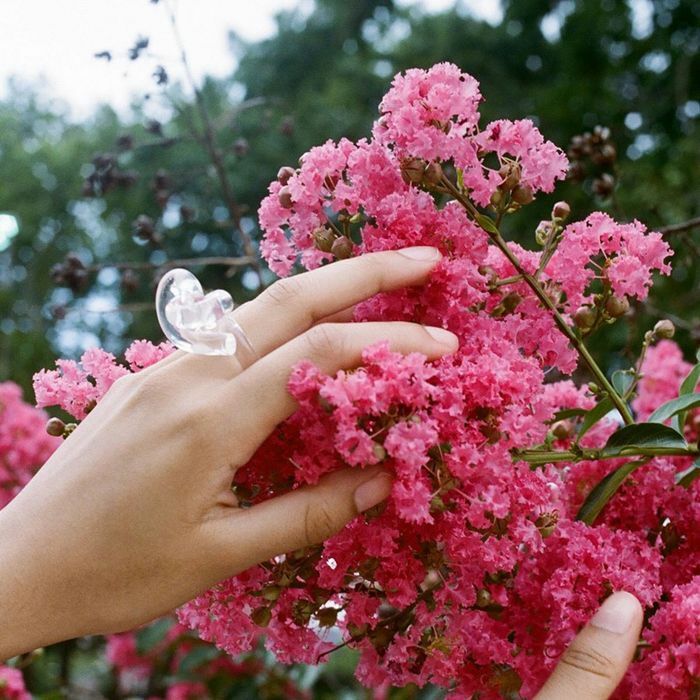 A glass orb ring from Brooklyn-based jewelry designer Jane D’Arensbourg that is simply spacey. 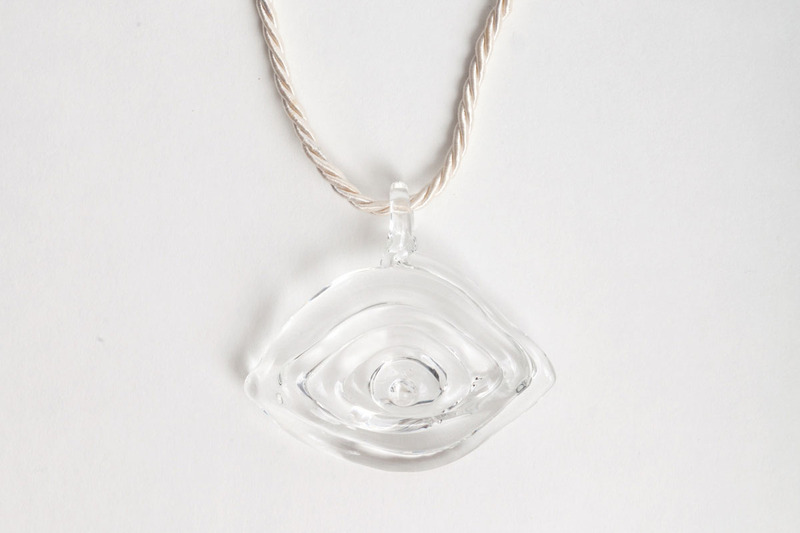 And a devilish evil-eye pendant, also made from glass.